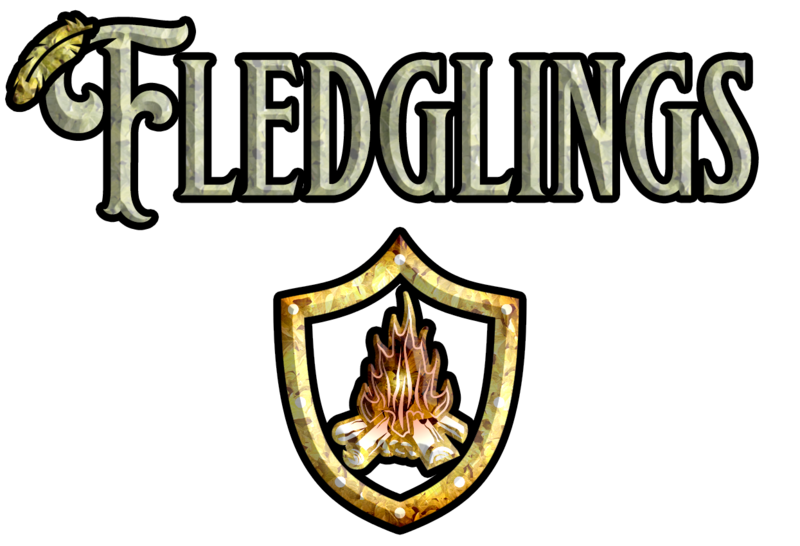 Fledglings is a simple role-playing game about aspirant adventurers-in-training facing a final test to earn their adventuring patch - the magical fantasy equivalent of wilderness scouts or guides, being taught what they will need to keep themselves, and those they love, safe from the dangers of the wider world. It draws inspiration from the Lookouts comics, the Wildlings RPG (among other games by John Harper) and the Wardlings miniatures from WizKids. 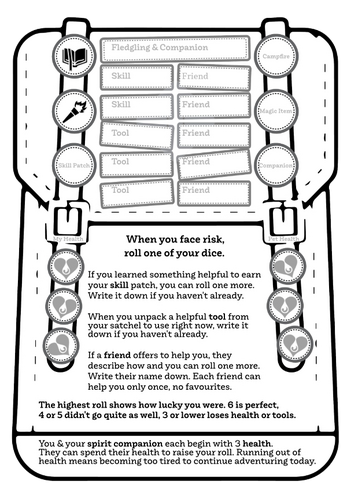 With the real dangers in their future, this game is a moment to explore the fantasy adventure genre in a safe and emergent way, where glimpses of peril are cushioned by the last support structures of youth, family and culture before setting out on your own. The tone and subject matter reflects these aims by occasionally menacing without maiming or killing characters...yet. 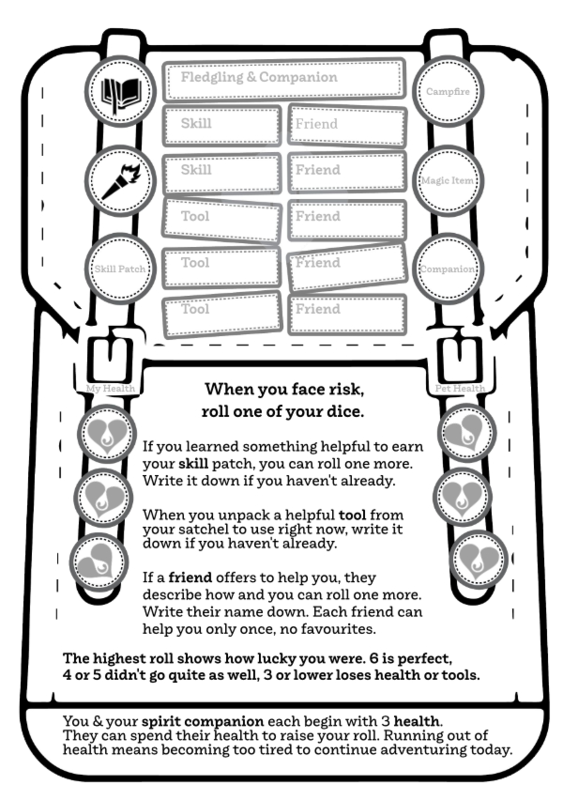 You can continue using these rules beyond that part of their story, or move the characters to a more complicated ruleset like Hero Kids or Dungeons & Dragons when the players are ready. All Fledglings adventures I write will be added to this page in the future, free of charge. Currently included is a sample adventure from 2018, the latest from 2019 will be published mid-August, once my players have experienced it.